The weather here Colorado was beautiful this past weekend, so I decided to get on the Yamahammer and do some riding. I also got a new camera to test out. I carry a camera, attached to a retractable cord, that I have in my left breast pocket. I have it attached to the retractable cord so that I can just drop it in case of an emergency. I take pictures while I ride because I don’t always want to stop and take pictures. I also like taking pictures of June riding. The camera I have been using is a Sony RX100. If you have ever looked at reviews for point and shoot cameras, I’m sure you have read how great the little RX100 is. The picture quality is fantastic and it allows full manual operation. The RX100, however, is a pricey little thing and I would prefer not to damage it while I’m riding. So, I decided to look into water resistant and shock resistant cameras. I also wanted to have a camera with GPS and WiFi. A couple of weeks ago, I tried the Olympus TG 860. The Olympus felt good in the hand, was nice and solid and I did like the configurable buttons on the front and back. The problem??? The picture quality was terrible!!! I would never be able to live with it. So, I returned it. To replace the Olympus, I picked up a Nikon AW130. The AW130 was a bit smaller and did not have configurable buttons, but it did get better reviews on picture quality. I took the camera out on Saturday to do some testing. I found the camera easy to operate with one hand which is vital for my intended purpose (the Olympus was ok in that regard as well). When I got home Saturday, I looked at the pictures and was again, not very impressed with the picture quality. I guess I am just spoiled with the quality of the RX100 pictures. Also, both the TG 860 and the AW130 did not have manual modes. I’m a control freak and don’t want the camera deciding what’s best. All pictures from today were taken with the AW130. I would be riding by myself today as June was busy with work stuff. 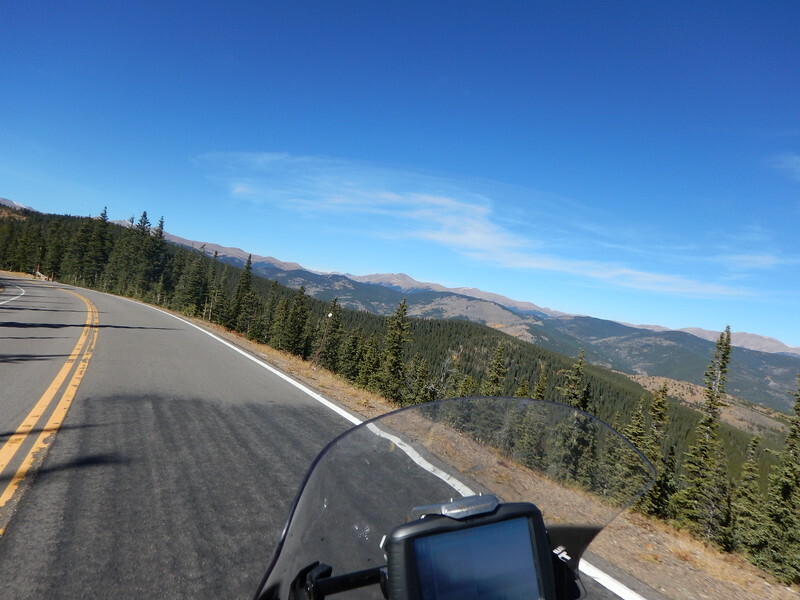 The plan was to go over Squaw Pass Rd, down into Idaho Springs and then west on I70 to Loveland Pass. I would then just make it up as I head back home. Left the house at about 10:00am, seems like that is always the time I’m leaving. Temperature was in the low 60’s and wonderfully sunny. Soon I was heading up Squaw Pass Rd. There were a few cars on the road, but not nearly what I expected being it was a Saturday. Near the bottom of Squaw Pass Rd. 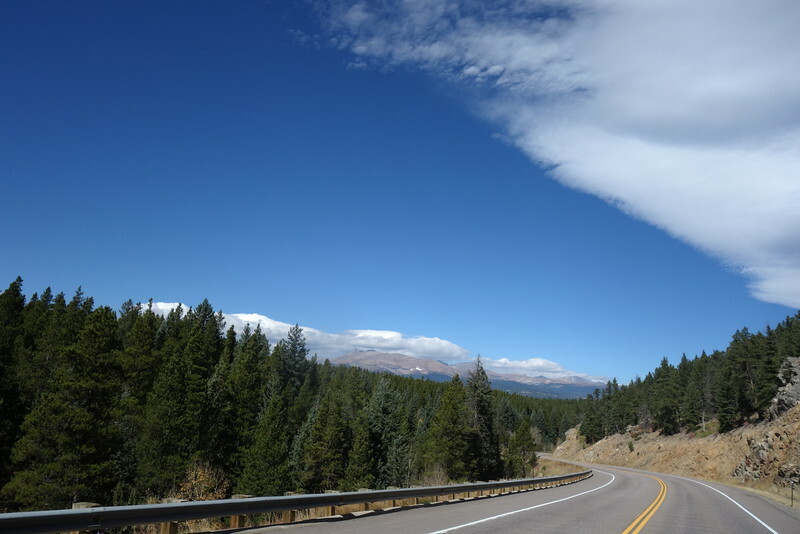 About 3/4’s the way up Squaw Pass, the views of the continental divide start to appear. It’s beautiful now, but even better in the winter. The road itself is fantastic when there are no cars on it. There are a lot of bicyclists on it during the weekends, so I have to be careful around some of the corners. Stopped at a turnout near the top to enjoy the view. Squaw Pass Rd near the top looking East. The road up to the top of Mt. Evans is closed, so no venturing up there today. 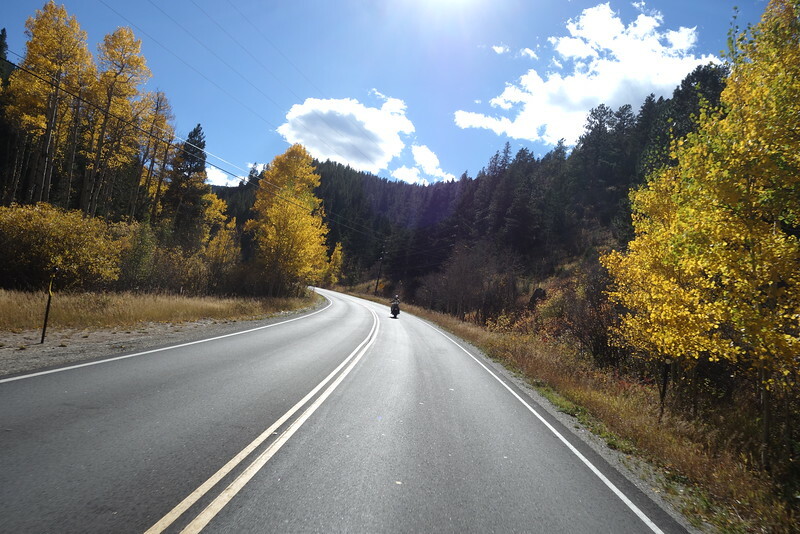 Went down into Idaho Springs and onto I70. Lots of traffic on I70 and speeds sometimes dropping to 25 mph. No pictures of I70 as there are a lot tourist driving and you never know what they are going to do. 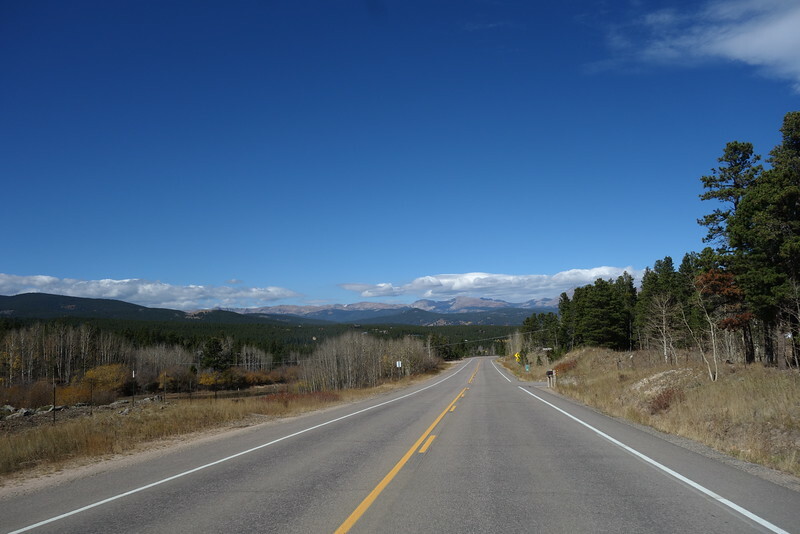 NPW…I know it’s beautiful up here, but paying attention to the road is more important…come on people! From I70, went up Loveland Pass. I did not go all the way to the top, I just stopped a few turnouts before. The view of I70 below is actually better where I stopped than at the top and I like the view. 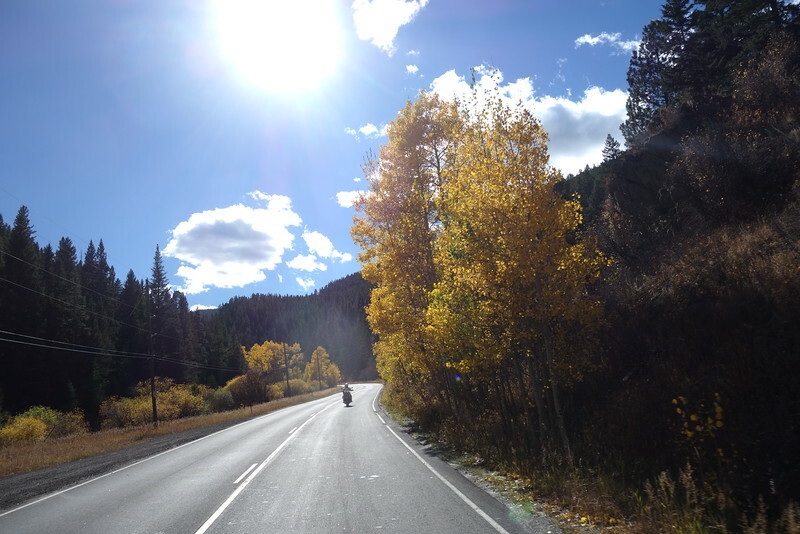 While I was riding west on I70 I saw an off ramp for Fall River Rd, I had read somewhere that Fall River Rd is scenic and fun, so I decided to head that way after Loveland Pass. I tried to stay off I70 and take the frontage road as much as I could. 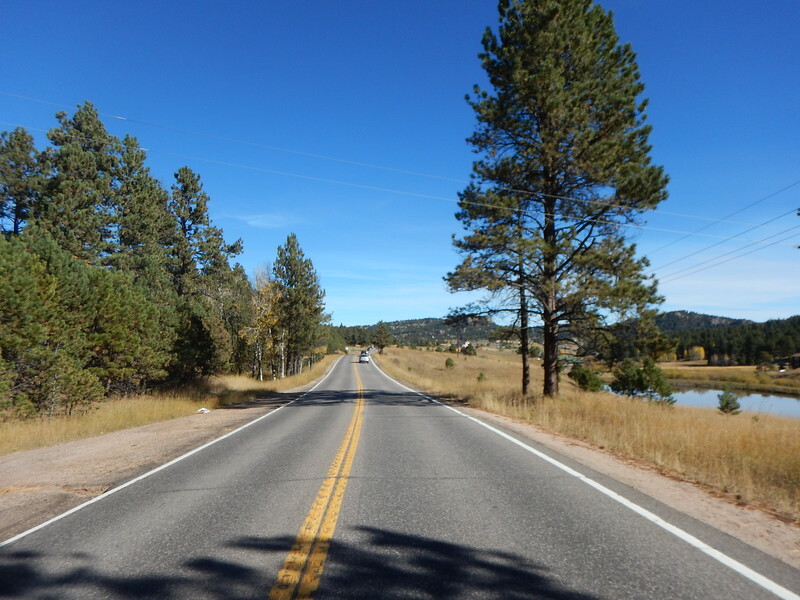 I worked my way back to Fall River Rd and am so glad I did, what a nice little road. I didn’t take any pictures of the road, but believe me, it was nice! I went all the way to the top where the road ended at Silver Lake. I then started to head home. I did take a little detour down Alice Rd and then onto Steuart Rd to get just a bit of dirt in. The rest of the way home was uneventful. All these pictures were taken with my Sony RX100, sorry for the poor quality as I did not retouch them in Lightroom as I normally do…I got lazy, so sue me! June was going to go with me today, which I was very happy about. It’s nice to ride alone, but also nice when June comes with me. Plan today was to visit the Peak to Peak Highway via Virginia Canyon Rd. Again, we left at about 10:00am. Beautiful weather again with some puffy clouds to add a little flavor to the sky. 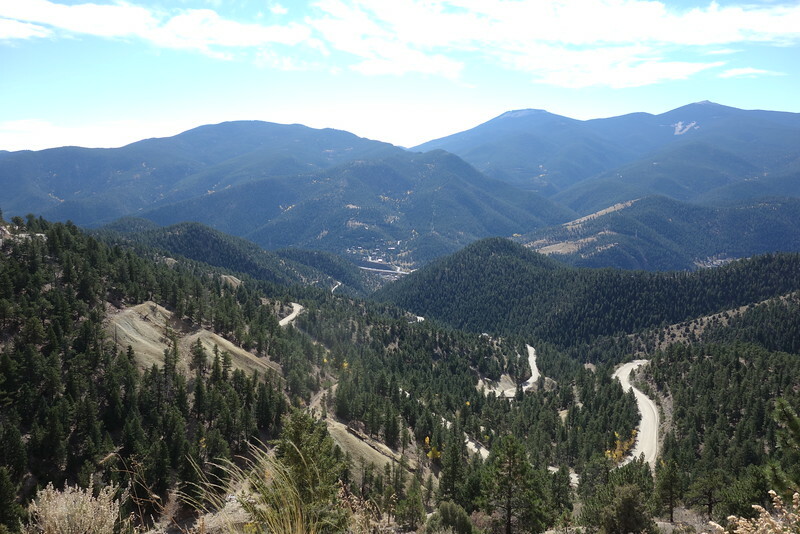 Virginia Canyon is a great little dirt road (Buickable), that ascends 2500 ft in just 5 miles with some great views of Idaho Springs below. We went through the old mining community of Davenport Gulch. 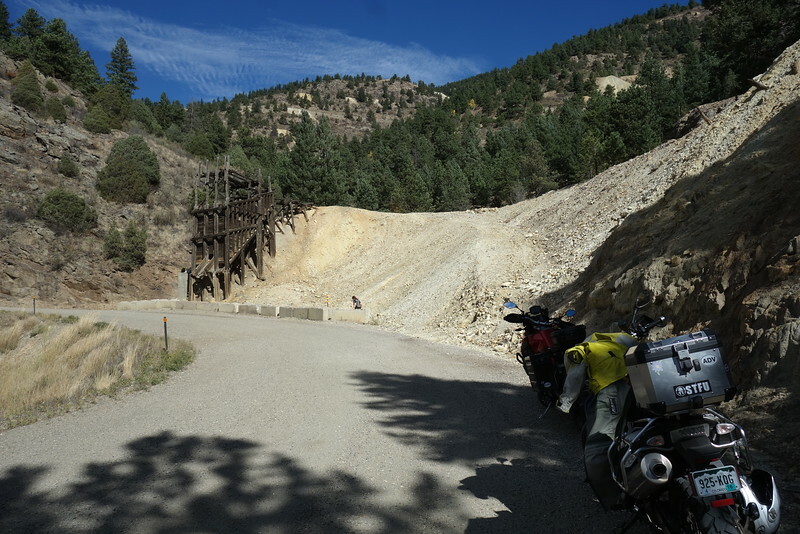 Davenport Gulch has lots old mining structures (of course) and other old derelict buildings. Well worth looking around. 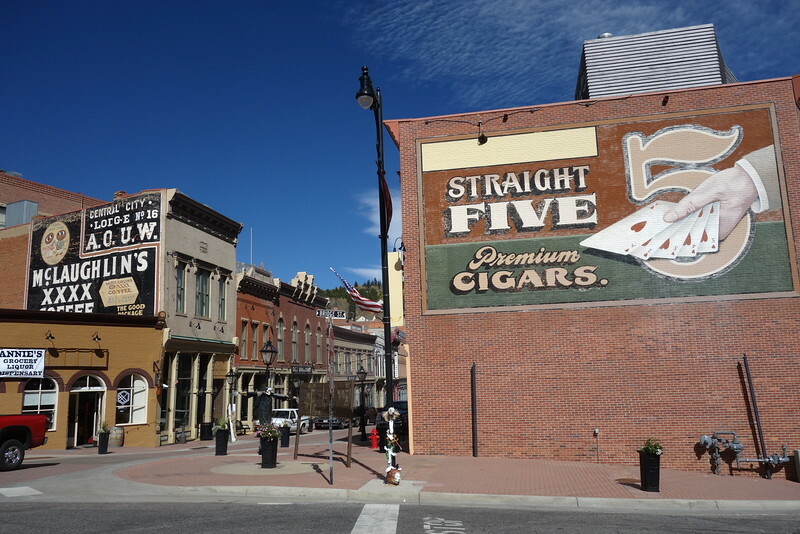 We make it into Central City, very cool looking old downtown, must come back to explore. After Central City it’s off to Peak to Peak. 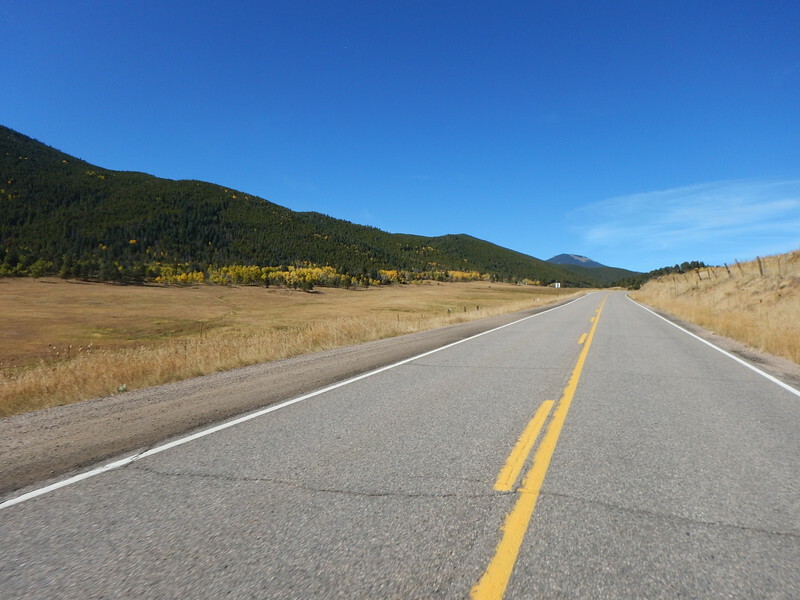 Peak to Peak is a fantastic road albeit with speed limits that are too low to really enjoy it. Sometimes I want to wick it up and not focus on the scenery. 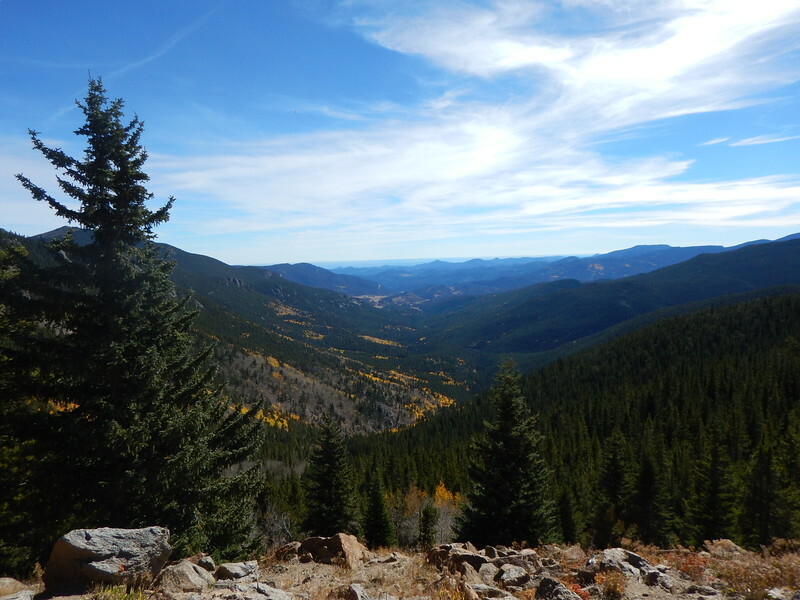 There are nice views of the continental divide however. We make it to Rollinsville and stop for lunch at the Stage Stop. The Stage Stop was really cool inside, but the food was just ok. The did have a guy singing who was pretty good, he reminded me of Chris Knight who sang ‘It ain’t easy being me’ released in 1998 (love that song). 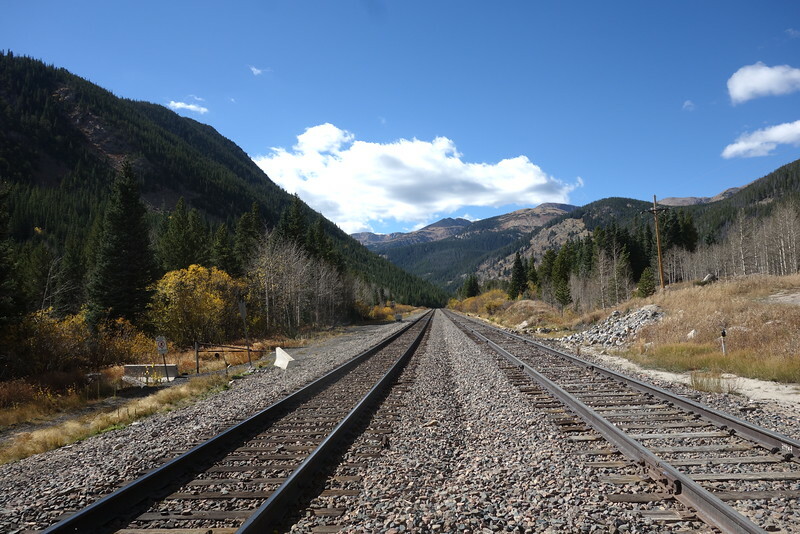 After lunch, we decide to give Rollins Pass a try. 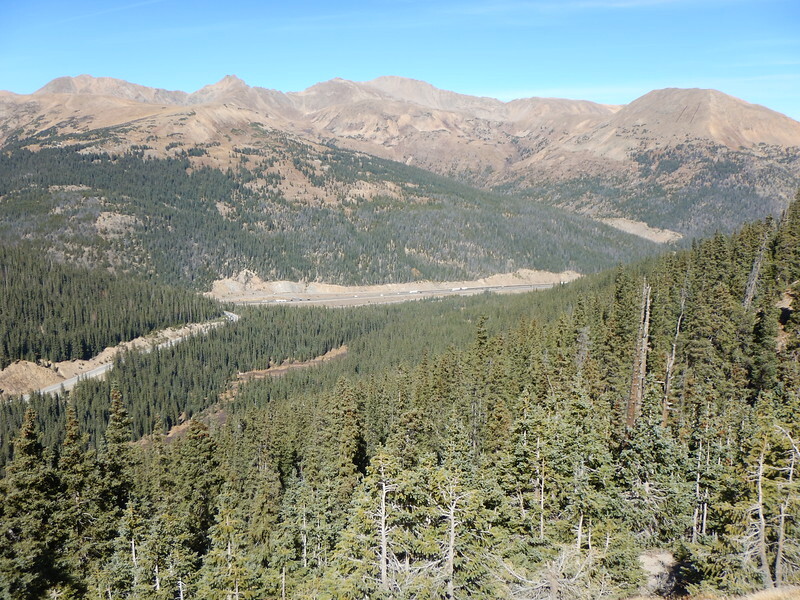 We both have never done Rollins Pass, so we ask one of the ladies who works at the Stage Stop and she informs us that Rollins can be really tough and that we should try Mammoth Gulch instead. 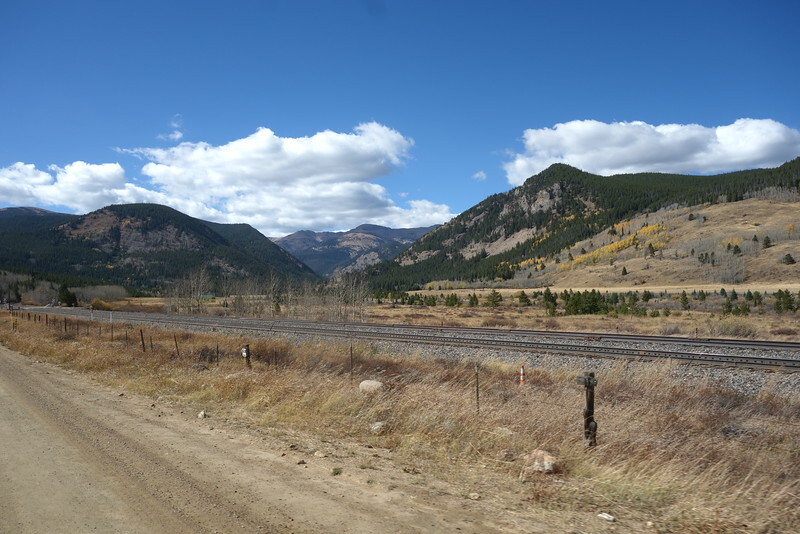 We head out towards Rollins Pass and, of course, like most of Colorado, it’s beautiful with again ,of course, a river flowing next to the road. 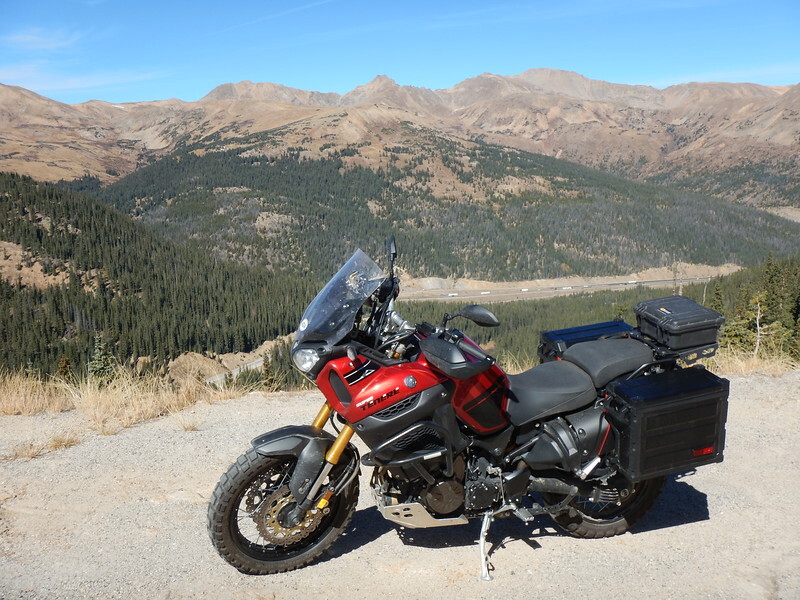 We find Mammoth Gulch and it looks like a rocky mess, so we decide to head for Rollins Pass. It is getting extremely windy by this point and a little hard to keep our bikes on the dirt road (again, Buickable), so we bail out and head for home. We stop in Idaho Springs for some well deserved coffee, I loves me some cappuccino!!! 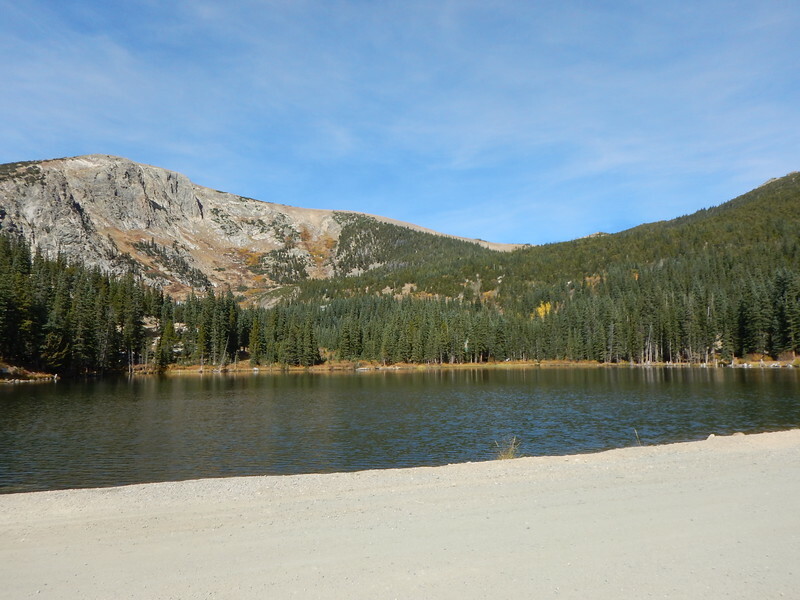 We then chose to go up and over Squaw Pass Rd (going the opposite way I went the day before). 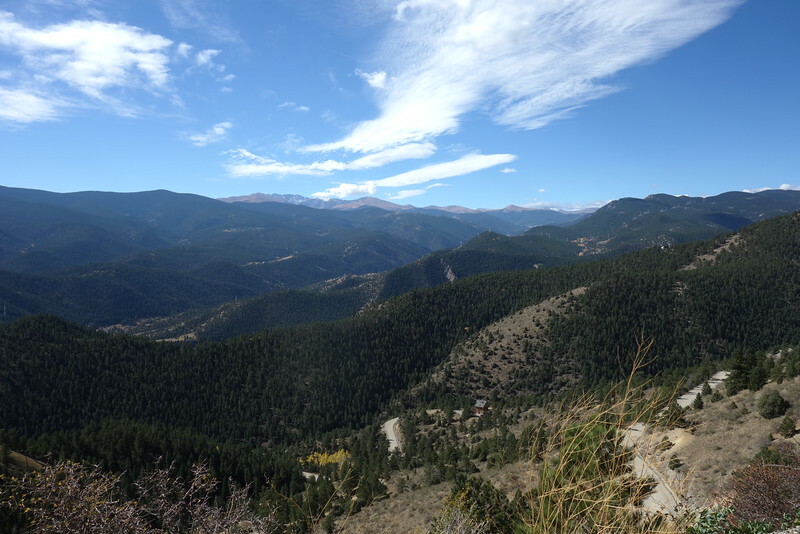 Squaw Pass Rd starts as Chicago Creek Rd just outside of Idaho Springs. There is still some nice fall colors around for our viewing pleasure. We make it home in one piece, which is always a good thing. 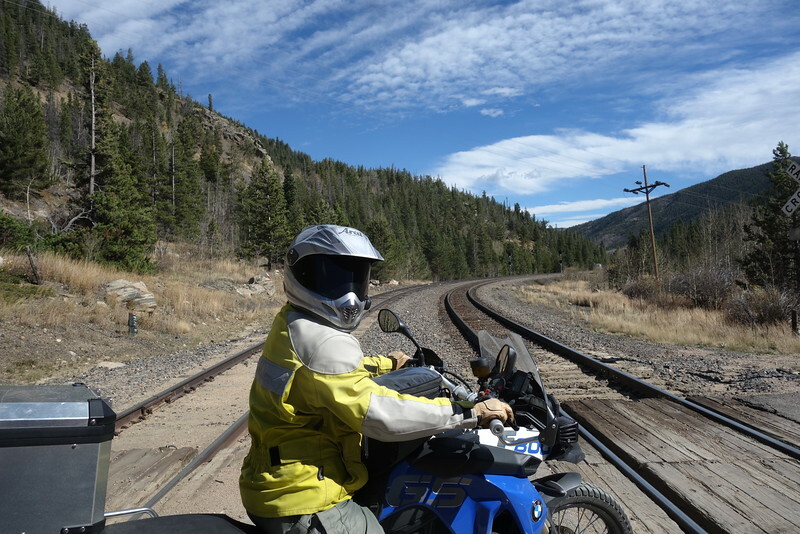 And of course, another spectacular day of riding in the wonderful State of Colorado. Thanks for coming along…till next time. Next Post A Quick 3 Day Trip in Colorado. Mostly Pictures.